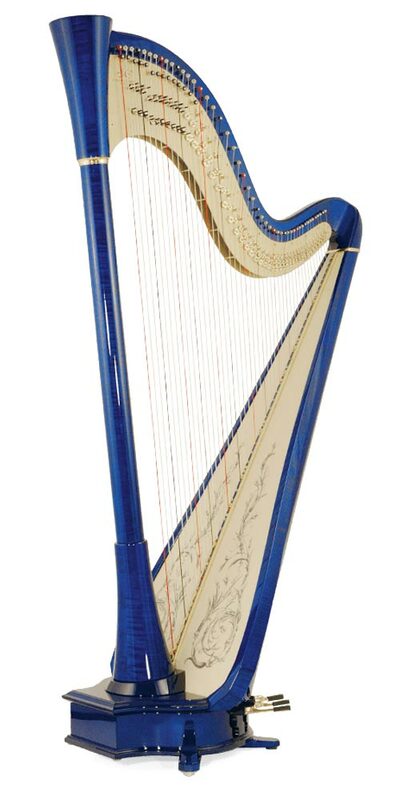 it an ideal choice for any beginner or professional harpist. Tiny and pretty, the Hermine will charm you with its curves and its facility to be carried everywhere. 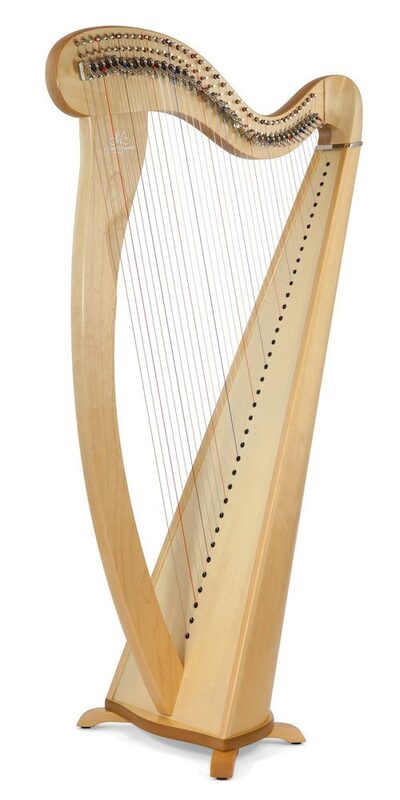 Its soft and clear sound offers a good balance between gut and nylon strings. Its size is perfect for children but also adults when mounted on high feet. 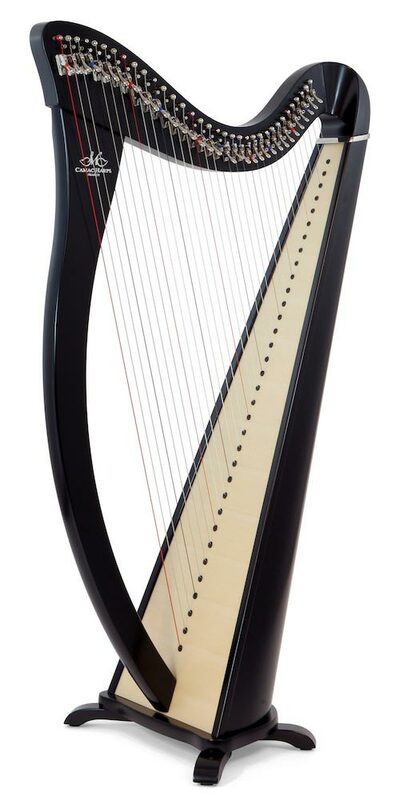 Thanks to its soft tension, beginners will enjoy making nice sounds with ease. 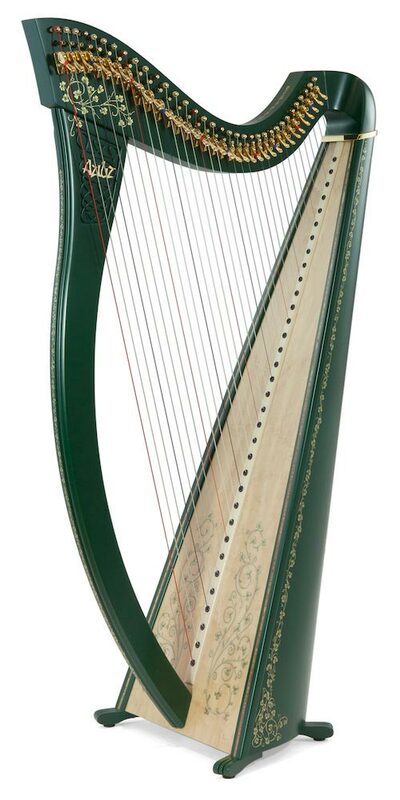 Graceful and rounded, the Melusine with nylon strings has a crystalline sound. It also has a soft tension which allows a light and rhythmic play, and its round bass sound will give life to any music piece. Your perfect companion all through your learning process, should you be tall or small. Available in concert version. 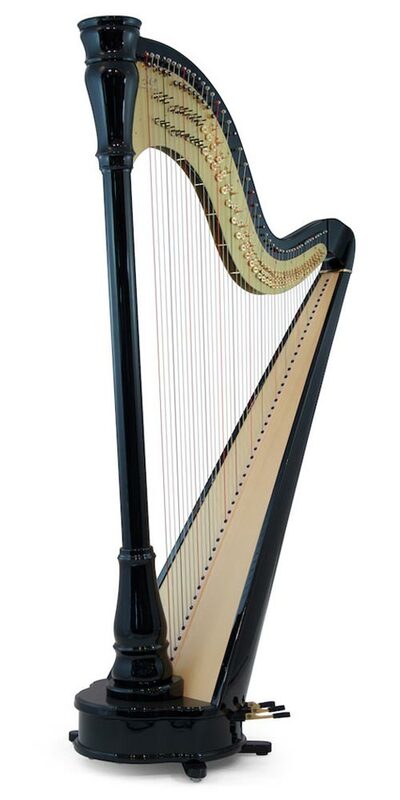 Lightweight and easy to handle, the Aziliz is an attractive concert instrument. 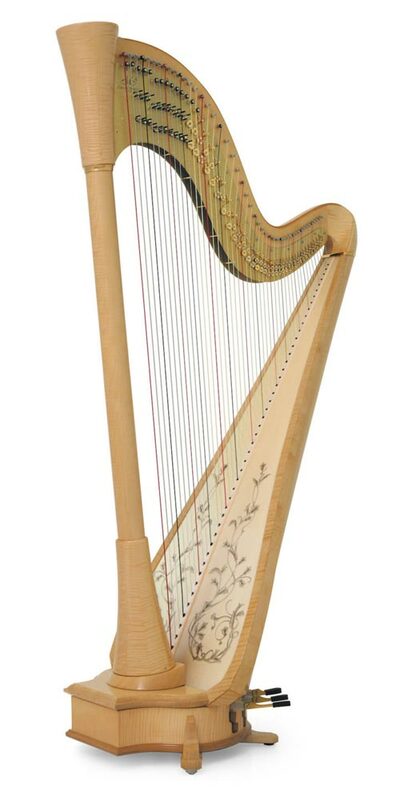 Ideal for harpists who love soft, airy sounds. Particularly adapted for Celtic or World music, its quite flexible tension and alliance strings makes it an ideal combination both delicate play and vigorous play. Spirited and powerful, the new Excalibur is indeed a success. With powerful bass and crystal clear highs, the balance of sounds is impressive. 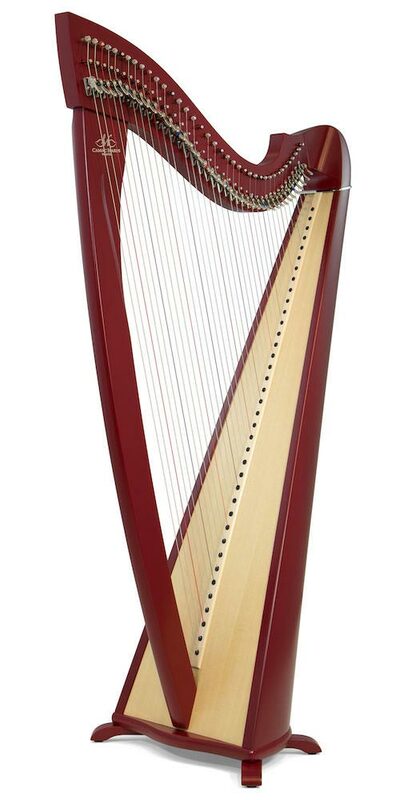 It has a nice amplitude of sound that will improve with time (solid-top). Its higher tension will be perfect for a powerful game. Suitable for any style of music. Elegant study harp with a nice balance of sound that will satisfy harpists who want a harp of quality throughout the learning process. Can be found in wide table version for a more ample sound or for concerts. High quality concert harp: great amplitude, tinkling highs, vibrating basses… Perfect for pedal harpists who want a concert instrument with high potential that offers an infinity of nuances. The famous “Big Blue”! A premium quality pedal harp (based on the structure of the Atlantis), with a high-precision sound system (one microphone per string, 3 outputs). Perfect for those who play in a band (see electro harps). You can also add the use of effects pedals to shape your unique sound.